For this artsy Saturday, I want to take simplicity to the edge. This is a picture of a floor in one of the sites I visited this summer uRV trips. 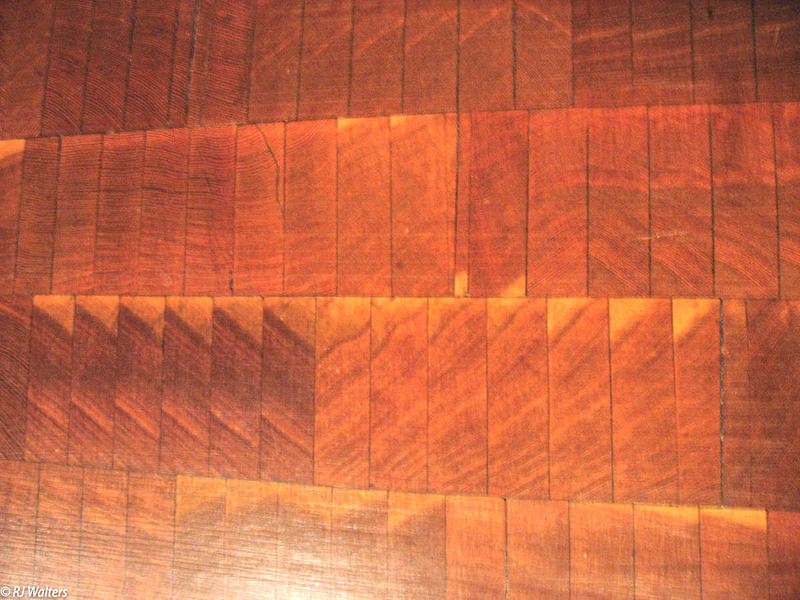 I guess it is considered a parquet floor but I don’t think I have ever encountered one like it. Being a woodworking guy it just fascinated me. For those who don’t know what they are looking at, it is an end view of the 2×6 boards. I came across a blog site (The Drabble) the other day that spoke to my heart. Actually the site came across me by “liking” one of my very short posts. The words simple, yet evocative pieces that capture what it means to be human described the purpose of the site. Simple yet evocative says it all for me. It is hard to do both but when it is done successfully it is genius and many of the posts I reviewed on that blog did just that. I have been on a “Simplicity” binge for about 5 years now. For me at least, life is just getting too complicated even in my retirement years. Everyone seems to be on a razor’s edge now and can’t see much joy in life. Since this is the only go-around we have if you waste your life with worry and fear it is indeed wasted and gone forever. It is definitely time for simplicity in my, and most others’ lives. Any damn fool can get complicated. It takes a genius to obtain simplicity. It is easy to make things complicated. Just look at all those yahoos inside the Washington DC beltway for evidence of that. We need folks who can take complicated and give us simple answers. That is what most of those who voted for the current president were hoping for but the rest of us knew he was just too flawed to actually live up to any of his hyper rhetoric. We also need simplicity from ourselves. Your life is not really as complicated as you think it is. Millions and millions of people have faced the same struggles as you are and still found joy and happiness and that is what I personally intend to do for my remaining years. 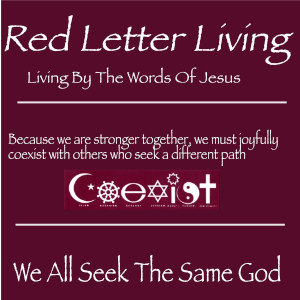 I naively think I will take a serious crack at Simple yet evocative here on RJsCorner. I think that melds very well with my desire to write some prose. Simple yet evocative is difficult to achieve but I think I am up to it. How about you?? I came across this post from about three years ago that seems to apply to my recent posts on tiny houses and simplicity. Take a look… I think it applies more today than it did even three years ago… Click on the image below to go there. The Appeal of Simplicity In A Complex World.. I loved the quote in the title above when I came across it recently on the CNN Channel’s GPS. Too many people want easy-to-understand answers to all the problems around them. So when someone comes along and tells them that the solution to gross wealth inequity is to build a wall around the country they jump on board. When someone tells them that the answer to terrorism is to ban all Muslims and deport those citizens who don’t take a loyalty test They say “yeah, yeah”. In my mind the people who do that are just too lazy to take the time to understand the complexity of the issues. “Get rid of immigrants and all the jobs will come back.” “Ban Muslims and there will be no terrorists in the good ole USA”. HELL YEAH!!! I have made it known several time on this blog recently that simplicity is one of my current goals in life. To lead a simple life free of stuff is the central part of it. But there is a difference between trying to simplify your life and thinking everything has simple answers. There are unknown connections between many things in life that make “simple” answers almost impossible. A long time ago on PBS there was a series called Connections hosted by David Suzuki. It showed how many diverse things were connected in this world. It seems that almost everything interrelates with everything else. Nothing is isolated onto itself. The answer to wealth opportunity inequity requires serious contemplations and attacks. A big part of it is simply perception. Too many people are wrongly convinced that they don’t have a chance in this world so they think and act (or maybe don’t act) accordingly. Too many people think that they are unable to learn so they don’t even try. The slog along in high school and then expect a high paying job when they get out. Too many people don’t take the time to “think” and ponder the issues to find the most viable solution. They are convinced that if they can’t find a job where they are or with their current training then there is nothing else they can do. Too many people are just too lazy or have such low self-esteem to believe that they can do something about their circumstances in life. They want simple answers and easy options.